At Pizarro Law Firm, we understand that being involved in any legal situation is overwhelming, stressful, scary, and confusing. To be successful, you need an experienced litigation and trial attorney that is willing (and able) to fight for you. Finding the right attorney simplifies an otherwise complicated process. Let us manage your case. Every client's situation is unique so we identify your goals to make sure we implement effective strategies. Our aggressive, yet measured approach gets results. Give us a call at (619) 431-0844 to find out for yourself. Our attorneys are here to help, and are standing by to answer any questions that you may have. Mistakes happen, and being charged with a crime can have serious consequences. That's why you can't entrust your case to someone not willing to fight for you. A strong defense attorney with a plan can be the ultimate game changer. If you've been charged with a crime, call our firm now. Disputes happen. In fact, sometimes they're unavoidable. Breached contracts, false promises, interfering with your business. If you want to sue, or are being sued, call our firm to learn about how we can help you. We represent employers and employees in all types of employment-related disputes, which includes, but is not limited to, discrimination, sexual harassment, hostile work environment, wrongful termination, misclassification, failure to pay minimum wage, failure to pay overtime, failure to provide meal breaks, failure to provide rest breaks, or any contract disputes. Call now. Antony R. Pizarro is the founder of Pizarro Law Firm. Mr. Pizarro is a litigation and trial attorney, which means he prosecutes and defends lawsuits. 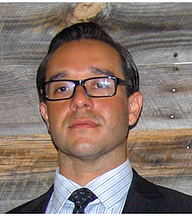 Mr. Pizarro received his law degree from Loyola Law School, Los Angeles where he was a member of the St. Thomas More Law Honor Society, and an Editor of the Entertainment Law Review. Mr. Pizarro received his undergraduate degree from the University of California, Berkeley. Mr. Pizarro represents individuals charged with misdemeanors and felonies in criminal courts throughout California. Mr. Pizarro also represents individuals in civil litigation, including trial and appeal if necessary. Mr. Pizarro is admitted to practice law in California, as well as the United States District Court for the Southern, Central, Eastern, and Northern Districts of California.